Been thinking about turning your Galaxy Nexus into a Galaxy SIII recently? Developers over at XDA are on a mission to do just that, and with the release of these overlay files, I think they have completed the task. Once you flash the add-on files, you will have the sounds, wallpapers, applications, and other tidbits that seperate the SGSIII from every other phone on the planet. You will be able to utilize S-Voice, S-Memos, and some other neat little things Samsung have developed. We made a quick walk through video to shortly show off the features, so check that out and if it looks like fun, follow the instructions down below to do the same. 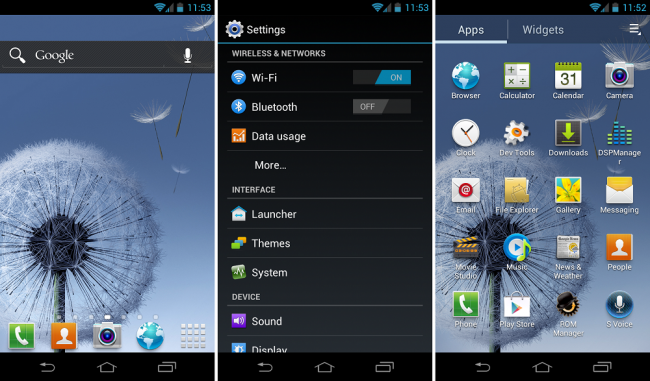 Warning: For CyanogenMod 9 and AOKP users only! Download the add-on zip file and the launcher zip file and place them on your phone’s storage. Reboot into ClockworkMod Recovery and immediately create a backup. Install the add-on zip and then the launcher zip files.